argument, and neither side seems to agree on, well, what exactly was agreed upon. This argument stretches back for many years. The big three in the US, led by Delta, pushed the US government to do something about the three big Middle East carriers: Emirates, Etihad, and Qatar. As the story went, these airlines were massively subsidized and they needed to be stopped from taking advantage of US aviation policy. If that didn’t happen, they would put the US airlines out of business. I had trouble picking a side on this. On the one hand, there’s no question that these airlines were very heavily subsidized (especially Qatar and Etihad). But on the other hand, there was real consumer benefit connecting people all over the world in ways that were far more difficult previously. I settled on a somewhat nuanced stance, and that was around the idea of fifth freedoms. A fifth freedom flight is one that starts or ends in the airline’s country of origin. It then goes to a second country and then on to a third. The airline has the right to carry passengers locally between the second and third countries. Emirates, for example, flies from Dubai to Milan and then on to New York (and back). The Milan to New York flight is a fifth freedom flight. While I generally believed there to be too much consumer benefit to really push back on flights operating over the airlines home hub, these fifth freedom flights seemed like a step too far. The airlines could take advantage of their lower costs from operating in their home country but export that to routes in higher cost areas where no local airline could compete. If there was anything that should have been stopped, it was that. Earlier this year, Qatar and the US came to an agreement that effectively noted that Qatar Airways had no plans to introduce new fifth freedom flights. That may sound good, but instead Qatar just invested in airlines that could do the flying for them, such as Air Italy. Now, we have the United Arab Emirates (UAE) following along with what seems to be a very similar agreement. According to the press release put out by the US Department of State (yes, it still barely exists despite what you may have heard), the two nations agreed on some things that they “memorialized in a Record of Discussion dated May 11.” Um, right. In this so-called Record of Discussion, the release goes on to detail the following. So, yeah. That. What this really means is that the airlines will have to be more transparent financially and use international standards in reporting. Emirates has been doing this (and the release about the Record of Discussion noted as such), but Etihad has most definitely not. Once Etihad finishes restructuring and pulling itself out of the financial abyss it finds itself in, then it’ll report as well. I can’t wait to see that, though I’m sure things will have been cleaned up before the numbers start rolling out. Also, this talk of having arms-length transactions based on commercial terms is nice, but it’s also not entirely clear how this will be proven. In the end, this says nothing about fifth freedom flights, so, what about them? Well, the US side had reported that there was a freeze on adding these flights, but the Chairman and CEO of Emirates said that’s not true. According to Arabian Business, an Emirates spokesperson added “contrary to some media reports, there is no freeze on any of the operating rights prescribed in the Air Transport Agreement or any tacit undertakings to do so.” The US, however, apparently came away with a different understanding. Peter Navarro, Assistant to the President of the United States, spoke out about how it “was disconcerting to me to have [the UAE] issue a statement that basically disowned the side letter.” This side letter, in his eyes, put a freeze on fifth freedom flights to and from the US. So what’s the truth? I don’t know. What we do know is that Etihad isn’t in a place to add fifth freedom flights. It’s just struggling to create a viable airline, and it can’t even think about growth right now. Emirates, however, has long been the least subsidized yet it is the only one that has had an interest in fifth freedom routes. Is it banned from adding more? We apparently don’t know. We also don’t know if Emirates would even want to add more fifth freedom flights to the two it operates to the US today. It’s currently struggling through a weak period. I assume this will be clarified at some point, but that day may not happen until Emirates tries to add another fifth freedom flight. Everything else in the agreement is mostly fluff. With any luck, this will end the whole spat, but somehow I’m not convinced just yet. I’ll believe it when I hear both sides saying the same thing. What happened to free trade? Whenever a government tries to manage a market nothing good ever comes of it. Seriously? You think it’s “free trade” when a foreign government pumps BILLIONS of dollars into an industry that competes with American companies? As has been previously noted in this dispute, a company can compete with another company, but it can’t compete with a government. If you ran a US business whose product was suddenly being swamped by a foreign competitor who’s country was massively subsidizing its operations, would you not go to the US gov’t for help? I certainly would, and I’d be appalled if Washington didn’t help me out with this trade dispute. True but the argument can be made in many instances. The US airlines accepted billions in aid following 9/11. Should that count? Boeing receives substantial aid in the form of inflated defense contracts that allows them to compete against in the commercial sector against Boeing. Tack on Boeing trying to get the C-Series effectively killed in the US through their trade complaints and you can’t argue the US plays fair either. Ultimately, it comes down to transparency. Even if they keep getting aid, at least we need to know how much aid it is. Perhaps you can list them but I am quite sure that the grants to US airlines for hardening cockpit doors was far less than you think. And there really were no other subsidies from 9/11 to US airlines. The loan program made money. Bankruptcy is not a government subsidy despite what so many people say; bankruptcy is a government supervised reorganization of a business and its creditors exchanging debt for equity. Yes, transparency matters and the US subsidizes business in other means but 9/11 amounted to very little – besides being the result of war. CF does need to tackle today’s news regarding the WTO’s ruling against the EU. Tim – There was a reimbursement to the airlines after 9/11 closures, but again, that was a very clear transaction accounting for something out of the control of the airlines. I do agree these are apples to oranges, but it gets fuzzier for me with Chinese airlines. They do get a lot of subsidy, but the thing is, they aren’t using it in the same way. As for the WTO ruling, I don’t really know that I have much to add on that one. Others can probably do more justice. Meh, American bankruptcy law in its Chapter 11 form is both far more generous to companies and far more accessible (i.e. easier to use and used more) than its international counterparts, and that’s taking for granted counterparts where it actually exists, because in many countries, it doesn’t: bankrupt is bankrupt. Cranky had an article on the potential fate of Norwegian a few months ago; go research the Norwegian cousin of Chapter 11 and what the success rate is coming out of it alive and you’ll likely conclude that “bankruptcy” is not an option for Norwegian in Norway if it wants to continue to exist. In the US, by contrast, declaring Chapter 11 became so fundamental to the industry among legacies after 2001 that it seemed almost a competitive disadvantage not to have done it. When AA finally gave in, it seemed everyone had cashed in on their “get out of jail free” card and was on equal footing again. I have never thought 5th freedom routes had a major impact on US or EU carriers. EK once flew Hamburg-JFK but now flies just Athens-EWR and Milan-JFK. Delta has what 50-60 transatlantic routes? It would be nice if officials would open up routes without nonstop service, MXP-BOS/ORD/PHL/IAD etc. I think the current Delta leadership is embarrassed by this fight and is just looking for a face-saving way of backing down. It really comes down to what was in the “confidential” side letter. Given that Qatar was the first to sign and it too didn’t agree to outright ban 5th Freedom flying…only to say it had no plans to fly 5th Freedom…I can’t see the UAE going for an even more restrictive deal. So I think it’s pretty obvious who “won” and it wasn’t the US3. The Trump admin, like the Obaman admin, never really showed the intestinal fortitude nor the desire to take the 5th freedom issue to the mat. But now thanks to more pressure from the US3 claiming that the deal does more than it really does, the Trump admin is backtracking and posturing…but from an untenable position since the agreement is available to be seen. And I’ll bet my entire bank account that the “several individuals familiar with the negotiations” mentioned in the last sentence of that paragraph are all on the US side…and as such the last sentence is a face saving smokescreen meant to introduce FUD whereas the real story is what’s actually IN the side letter. First of all, there are very real standards for financial transparency and the US3 have long charged that the ME3 used government subsidized subsidiaries to reduce their costs. International accounting standards require that such information be disclosed. It is not insignificant that the ME3 have all agreed to accept true international accounting standards and even if Emirates is doing it now, it didn’t in the past. Remember that this dispute has gone on for years. Second, the agreement does have a one year verification period so there is very little reason to believe that the ME3 will return to subsidies since the US government does have the right to accelerate the process. The whole issue of subsidized aviation could conceivably only be acceptable IF a carrier discounted fares ONLY to their home country – but that is far from the case for the ME3. There have long been subsidized airlines in the history of global aviation but few of those airlines have done more than bring passengers to their home country. Fares to the ME3’s home markets are FAR higher than what they offer for passengers connecting over them – that is not a uniquely ME3 model but the way many hubs operate. Other airlines do not receive subsidies to undercut connecting passengers. The ME3’s model is specifically designed to create massive hubs that bring passengers THRU their hubs between countries that are not their home countries. The reason why subsidies matter is because the ME3 have been offering fares that are well below industry-average at the same time that they are being subsidized. 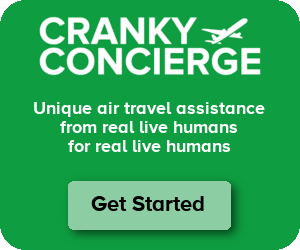 Of course a subsidized airline can provide high levels of service. Of course subsidized airlines develop partnerships and other airlines like FedEx use the Open Skies to gain access to cargo markets for which there is no comparable right in the US. Either subsidized markets are bad for all participants or you can’t selectively pick out some consumers or manufacturers that can benefit at the expense of others. Free markets are never fully free and there has to be limits on government involvement in the airline industry in order for global open and free access to markets to work. HOWEVER, the reality is that the ME3 were ready to sign even what some see as a relatively weak agreement for the US because the economics of the ME3 are changing. Qatar and the UAE can no longer afford to subsidize air travel for tens of millions of global air travelers – and that is all their subsidies do now. They have built hubs as large as they are likely to be within a few percent of size. EY and EK are competing for each other’s home markets and operating very inefficiently. Qatar (the country) faces significant economic challenges because of religious and political division within the Middle East – subsidies for QR can’t overcome that. There are significant new competitors to the ME3 including Wow’s recently announced new service to India – which will likely be cheaper and more efficient (by virtue of being shorter) for many markets. European and US airlines are figuring out how to compete with the ME3 and the ME3 are also facing major issues such as pilot shortages – which are in part due to the US3 and EU3 carriers being willing to pay high pilot salaries. So, yes, the agreement does reign in previous subsidy activity, some of which still continues. Economics and a changing marketplace make it harder for the ME3 to compete so the free market itself might have done more to solve the problem than any signature between two countries could. Given that Delta, as a result of these agreements, has now said they are considering returning to some of the markets that they once flew, there could well be even more increased benefit to consumers. Well said. Anyone who knows anything about airline financials knows that what the ME3 has done the past decade was not done “for profit.” Doha isn’t going to be able to support flights from all corners of the globe, especially when Qatar and Dubai are offering the same levels of absurd service. This type of craziness has never happened anywhere else in the world, because (I guess) there have never been kingdoms with enough cash willing to absorb the billions in losses. That said, every massively unprofitable business ultimately fails — even those with massive government aid. We’ve been seeing the ME3 “business model” (such that it is) start to implode the past year. The new US bilateral agreements are just giving that development a little push. Even the Emirs have only so much cash to throw around on this stuff. I don’t think Emirates would be stupid enough to try to launch a Fifth Freedom flight during the Trump Administration. It would almost certainly be blocked. Where the future fireworks are likely to occur is with the “audited financial statements” and the “subsidies.” I know some people disagree, but I don’t think that even Emirates operates as a for-profit business. They were never intended to. And the proof is in their operation: there are no airlines anywhere else in the world that try to make money flying enormous aircraft on long thin routes to a hub that has little origin/destination traffic. At best, Emirates is an economic development tool. So when their numbers come in fishy, as they certainly will, the US airlines may complain about this. And if they do, the dispute will resume. I don’t think they can block it…not without killing the Open Skies agreement…and that would almost certainly cause more near term pain for US interests than UAE interests because of US freight operations. They already did. The ATH EWR Fifth Freedom was announced on 23 Jan 2017 and begin service on 12 March 2017. So now we have, under the Trump administration, MOA’s instead of treaties? MOA’s that no one in under obligation to actually adhere to. And they say they’ll accept GAAP and they won’t cook the books. Ridiculous. This administration is run by idiots and fools. once again, you do realize that there is a 1 year check-up point in the agreement and the US is free to return to the issue again? As for 5th freedom flights (comment above), EK is parking scores of widebody aircraft which is supposedly because they can’t staff them – because western airlines pay pilots so much more. If/when the ME3 airlines have to start pulling down legs of a hub, the economics of that hub start deteriorating fairly quickly. We saw that with the blockade of Qatar which lost connections to a number of its major markets. Let’s also not forget that Turkish is duplicating the same thing the ME3 has and, so far, it has not been accused of subsidies. IST has enormous additional capacity coming online soon even though Turkey is struggling w/ its own relations with some countries in the west. All of the economics of the ME3-US3 accord might look laughable but the economics is all that matters. The ME3 simply can’t continue what they were doing w/ subsidies for many years. By signing something, and sticking to it, they remove a barrier to potential future growth that they will desperately need to stay relevant. If my folks give me $20 to buy gas, and they give my sister $200,000 to buy a house, we are both technically being subsidized by our folks, but I think you’d be hard pressed to say it’s the same. US carriers and some other carriers have been helped out by their national or local government’s from time to time. But there it’s transparent (for the most part) and limited in scope. Fuel tax breaks to keep a hub, landing fee waivers to start a new route, EAS for small communities. I don’t think any of those compare to billions to essentially be able to dump capacity on cheap fares that don’t have an O/D in their home. I don’t know numbers for US carriers, but I’m willing to bet +90% of their passengers Originate in the US, or have a destination in the US. I bet its 10% or less for ME3 and their perspective countries. This is a lot of cherrypicking. What is the combined total of all the direct “subsidies”: Chapter 11 bankruptcies, EAS, “fly American” rules, landing fees waivers, fuel tax breaks, “incentives” from local governments? And what about indirect subsidies? The US government awards massive defense contracts to Boeing which allows Boeing to sell its commercial aircraft at lower costs. Airlines get better deals, meaning their overhead is lower, meaning they can offer lower fares. Not to mention the atrocious salaries that plague the industry in the US, particularly at all the regionals flying around “on behalf of and doing business as ___” dressed up in the big guy’s colours. Who cares about O/D traffic? What does that have to do with subsidies? KLM transfers 70% of its passengers through Amsterdam. Finnair. Swiss. Icelandair. They don’t have the O/D demand at home to support their networks and have higher staff costs. Boeing is brilliant. It boldly and unabashedly screams “unfair” when someone else is doing it but takes full advantage for itself. It’s part of the model, and frankly, why not? To them, it’s all just part of the game. But this nonsense that we’re not doing it, or that bankruptcy “doesn’t count” now that it’s stopped and rewards reaped, is just silly. One thing that doesn’t bother me from a legal point of view is Qatar Airlines and Etihad investing in European airlines to provide feed as long as those airlines are subject to European labor standards, safety regulations, compensation rules, etc. As Cranky says, using fifth freedom routes to skirt those rules and limit a country’s ability to regulate businesses in the country is the problem there much more than where the money is coming from. Let’s be clear what is a subsidy and what is not. First, payments to airlines post 9/11 were not only clearly explained in the airlines’ financial statements but they were a direct result of war. You can call 9/11 whatever you want but when 3000 people are killed in a day and a significant number of high profile buildings are destroyed, that is as much of a definition of war as any I have heard. I would love to hear someone give me an example of a similar level of destruction and death in any other country and not have it called war. Airlines were used as a means of attack and all US airlines – not just legacy airlines – received compensation for the damage done to the industry for the grounding of aircraft as well as for the enhanced security including hardened cockpit doors that were required. Not only was the post 9/11 response by the US government not solely for legacy airlines but it amounted to a small fraction of the losses that US airlines suffered. Second, no matter how much some people want to argue otherwise, bankruptcy is not a government subsidy. Chapter 11 bankruptcy is a reorganization of a company’s finances under court supervision. Generally, US government debts cannot be renegotiated as private debt can be via equity in the reorganized company. Further, chapter 11 is not just available to airlines but has been used in multiple other industries including the steel industry. It should also be noted that being in Chapter 11 is about the only way to terminate or freeze defined pension plans; low cost carriers simply do not and never had defined benefit pension plans but many legacy industries including airlines did have them. The US government did act after United and USAirways’ C11 bankruptcies to make it much more difficult for airlines to terminate their pension plans which is why American, Delta and Northwest all FROZE rather than terminated their defined benefit pension plans except for pre-merger Delta’s pilot plan which had a lump sum provision which could not be removed from the plan so it was terminated. American and Delta now have much higher liabilities on their books because of their frozen pension benefits so it is even harder to argue that bankruptcy helped them when in fact by not being able to terminate their pension plans they now spend hundreds of millions of dollars more than other airlines and some other companies in other industries that were allowed to terminate their pension plans. In many countries including in Europe, pension plans are the responsibility of the government even though companies and employees pay high taxes. European airlines have long been subsidized including for CF’s poster child of managerial failure, Alitalia. European airlines also benefit from far more protected airports than in other parts of the world, esp. the US, where low cost carrier penetration is the highest in the world. A chapter 11 style bankruptcy was used by Japan Airlines so the concept is not solely an American concept. Most importantly, ATTEMPTING TO JUSTIFY ONGOING SUBSIDIES BY ANY AIRLINE BECAUSE OF WHAT WAS DONE FOR US AIRLINES POST 9/11 MAKES NO SENSE. THE TWO TYPES OF SUBSIDIES WERE FOR VERY DIFFERENT REASONS WHICH HAVE NOT BEEN REPLICATED IN THE WORLD SINCE 9/11. FINALLY, China does not have Open Skies with the US which means neither Chinese or US carriers enjoy the 5th freedom rights that the ME3 carriers do. Further, even if Chinese carriers are subsidized, they do so for the benefit of their local market and not tens of millions of connecting passengers that only change planes in the home country of their airlines; unsubsidized Asian airlines consistently have better service than Chinese airlines. Chinese and ME3 airlines are completely different in many regards including the size of the local markets. US airlines most certainly do have a competitive disadvantage to serve China because of the subsidies to Chinese airlines but Chinese airlines have very little impact on connecting traffic thru most of the rest of Asia which is the reason why subsidies ot the ME3 became an issue that was never raised with other subsidized airlines. Third, essential air service IS a subsidy, but just like the Middle East subsidies, the program is failing because the core economics of providing service to small communities is far higher than what governments are willing to pay to sustain that service. Economics, not any sheet of paper, is correcting the subsidy abuses that have taken place in the Middle East and with the EAS program. The fact that US airlines are leading the world in profitability without subsidies for more than 15 years shows that they fundamentally changed the way they do business.